“Shiver” is the story of Grace, a girl who is entranced by the wolves appearing at the edge of her backyard and has been fascinated by the yellow-eyed wolf that saved her life when she was attacked by that same pack years earlier. She discovers that these are no ordinary wolves, and were once humans themselves, lost in the cold months as lupine beasts in the woods of Mercy Falls, Minnesota. A classmate of Grace’s disappears and is assumed to have been killed by the wolf pack, although no body was ever found. Through the hunt for these beasts by the townspeople, Grace meets Sam Roth, and she suddenly realizes that he’s the same wolf that she’d watched on the edge of her yard for the past six years, his yellow eyes bright and feral. He struggles against the “shiver”—the state he goes into before changing back into a wolf if his body turns cold. “Shiver” is classified as a paranormal-romance, a genre that largely did not exist ten years ago. Although this kind of YA fiction book is a bit overused in the wake of the Twilight Phenomenon, the cover drew me in and I gave it a try. Werewolves and their perspective have been used in Stephenie Meyer’s series before, but Maggie Stiefvater gave the werewolf a different twist, so I felt that I wasn’t reading the Twilight Saga all over again. At times, the characters draw the reader in with their first-person narratives in alternating chapters. I felt the cold that Sam feels upon his skin and his desire to stay human for Grace. I sensed Grace’s urgency for spending time with Sam before it’s too late, and her need to find him a cure. Throughout several sequences however, the author’s voice was too present, and the characters were held at arm’s length, marionettes instead of “real” teenagers. The characters had moments when they were a bit idyllic and used “teen speak” more often than necessary, in turn jolting the reader from the storyline to focus on the cheesy descriptions or metaphors. The storyline at its base is a love story, and though it has honest flaws in its execution, I was entranced by the struggle for Sam to stay human. I rooted for him to triumph over the obstacles that he faced, and hoped he would have his happily ever after in the end. Grace’s character could have been stronger, but love drove her forward and heightened the pace of the novel. The cleverness of the temperatures at the beginning of each chapter were a great addition to this new work by Maggie Stiefvater, and the next book in the series “Linger” will surely be on my to-read list. 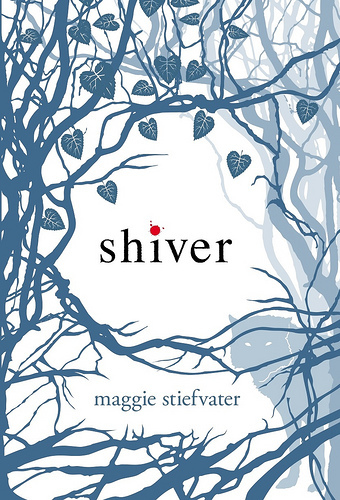 Maggie Stiefvater is a Young Adult fiction author residing in rural Virginia. Her other published works include “BALLAD” and “LAMENT“. Great review! I liked the bit about there being scenes in which the characters felt like “marionettes” instead of real teens. I felt like that too at several points, but hadn’t thought to articulate it in that way. Thank you Laura! You are so sweet! 🙂 I like to read between the lines when it comes to YA books. It also helps because I’m a writer too… I hope you will continue reading this blog and thanks again! Also, I’ve just noticed that this is your first post ever! 🙂 I look forward to reading more of your reviews and thoughts.